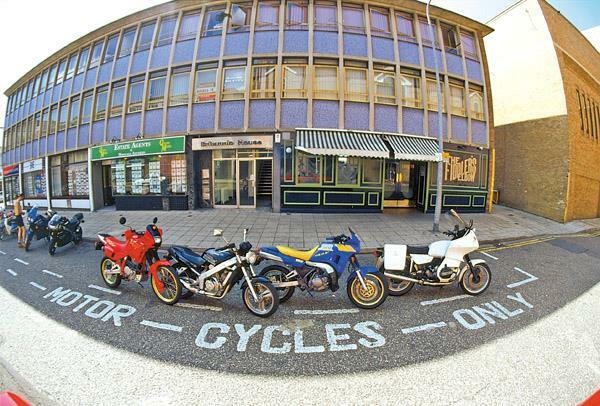 Motorcyclists in Kensington and Chelsea are set to benefit from improved parking facilities. The Council has increased the capacity of free parking bays in popular visitor areas and residents will see the introduction of the first secure lockable bays for permit holders. The changes come on the back of a 120% rise in motorcycle permit holders in the Royal Borough since 2000. Under the scheme, the total number of motorcycle parking spaces will increase from approximately 1,600 at present to 2,600, giving every resident access to a parking bay within a few minutes walk of their home and ensuring adequate free visitor parking in commercial areas. All new permit bays are fitted with ground anchors to deter theft. To find the location of bays around the Royal Borough, visit the website www.rbkc.gov.uk.